Vegas, Vegas....life happens and we were not able to go to Las Vegas this week, so I dedicated my time in scouting back to school sales all around town, that's what I do best! I was running around town looking for a special something to get my class as a welcome to school gift. I did not see anything that I would like so I decided to put some things together and have them on the tables for the first day when we have orientation with the parents as well. 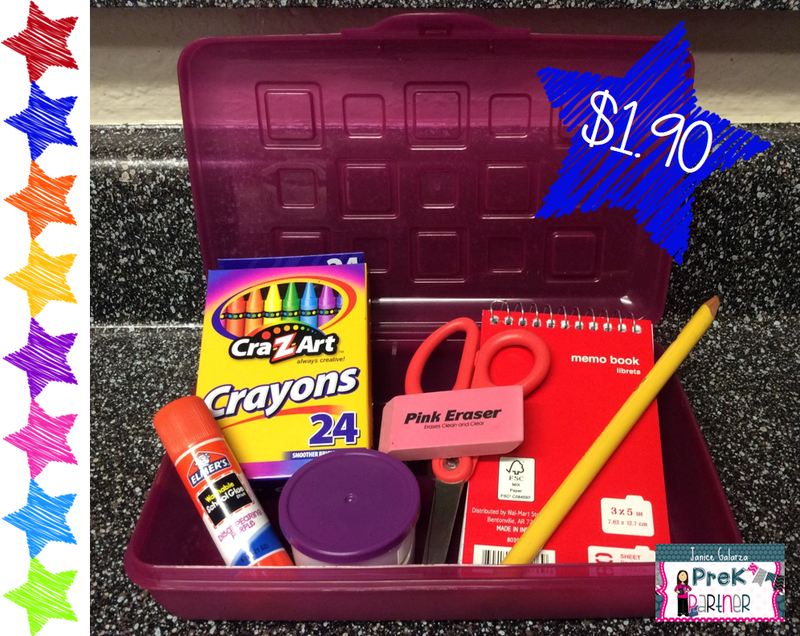 For just $1.90 I was able to put together a welcome to school box. When I have the student list I intend to wrap each box with a ribbon and write their names. This is just a little something to show them that I am glad I will be their teacher!